Q: How Does SingaporeDatabases.com Monitors The Data in Singapore? SingaporeDatabases.com is supported by SPADB technology which uses proprietary algorithms to track data that are publicly available in both offline and online format. Our system will perform analysis to determine latest changes and updates. 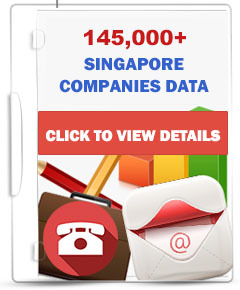 Q: Since All These Data Are Publicly Available, Why Should I Purchase From SingaporeDatabases.com? The manual process of compiling these data has been proven to be time-consuming, costly and inefficient. A very effective person will take approximately thousands of days to manually compile the data, without mentioning the fact that manual compilation is subjected to a high rate of human errors. Q: What Is The File Format Of The Database? The databases will be in Excel file format. This is a common file format for databases and can be easily uploaded into majority of SMS or Email Blast softwares. Q: Are The Databases Scanned/Scrubbed Via DNC/PDPA? No. Due to the 30 days expiry limitation of DNC scrubbing and the regulations involving third-party scrubbing, it is not viable for SingaporeDatabases.com to provide DNC verified data. Q: Databases Scrubbed By Third-Party Vendors Comply With DNC Regulations? No. Buyers of databases generally think that databases scrubbed by third-party vendors will comply by DNC regulations, which this perception is wrong. Under DNC regulations, no third-party vendors are authorized to scrub the databases for senders. All senders must check the databases with their own credential (SingPass) and keep the receipt for verification purposes in the event of a dispute or complaint. At such, SingaporeDatabases no longer sell databases that are scrubbed for DNC. Q: Does The Databases Comply with PDPA and DNC Regulations? PDPA and DNC protect private information of individuals (not business entities) and all marketers are required by law to scan the telephone numbers via DNC prior to sending B2C or C2C electronic messages (SMS) or making telecalls. However, DNC does not govern B2B service related messages via SMS or Telemarketing. Q: Are Emails Protected Under PDPA and DNC Regulations? Emails are not included within the scope of the DNC Registry as unsolicited emails can be blocked through email filters. They also cause less of a nuisance to delete when received, as compared to telephone calls, SMS and fax messages, which are more difficult for the individual to filter. Quoted from PDPA.gov.sg website. SingaporeDatabases is the official website of SPADB which is a verified merchant of Paypal Asia. All payments are handled by PayPal payment processing system. PayPal accepts all major credit cards. To make your purchase, select the database and make the payment via PayPal. A download link will be sent immediately to your email upon payment. Q: How Long Does It Takes To Receive The Databases? An email containing the download link will be sent immediately to the registered email of the buyer upon successful payment. The process usually takes less than 5 minutes. To ensure that you receive the download link, please kindly check your inbox or spam folder for the email. Q: Can We Arrange Meetup To Purchase The Data? SingaporeDatabases.com maintains our low pricing by saving on manpower resources and reducing our operation costs. Purchases can only be made via our website and payment is handled securely by PayPal Asia Pacific.